Pirates have taken the game of piracy to unimaginable levels. Nowadays there is not a piece of content on earth that you can’t find on the various torrent sites that exist online. And that has made anti-piracy organizations along with copyright holder groups anxious. How do they get rid of their anxiety? They have put to work several security measures in an attempt to get a hold over the spread of piracy and copyrighted content. And they hope that such measures would actually yield results in combating copyright infringement in the online world. But have these measures given copyright holder groups along with anti-piracy organizations any positive results? Remember, anti-piracy organizations along with copyright holder groups have used newer and newer security measures for the past several years now. Has the level of piracy on the internet gone down or gone up in recent years? The answer is, without a doubt, that piracy levels have reached astronomical levels now. Part of the reason is piracy’s appeal. Users get copyrighted content very quickly and that too for free. They don’t have to wait for an official release in their area. They don’t have to pay any subscription fees either. Hence, people who can engage in piracy usually do engage in piracy. And no amount of morality messages will ever change that. The point that we’re trying to make here is that anti-piracy measures have given anti-piracy groups mixed results. Yes, they have taken down some of the biggest names in the industry such as ExtraTorrents and KickAssTorrents. People didn’t really care about KickassTorrents and/or ExtraTorrents. In fact, online users don’t care about any other torrent site either. What online users do care about is the availability of high-quality copyrighted content on the internet for free. And if an entity can provide that quickly and easily, then that’s just an extra bonus feature. In other words, even though KickassTorrents and ExtraTorrents no longer exist, online users still get what they want. The answer is again pretty simple. Migration to other platforms that provide copyrighted content for free. All of us know how the traffic levels jumped up on The Pirate Bay as soon as authorities shut down the like of KickassTorrents and ExtraTorrents. An average online user couldn’t care less how they get his/her content as long as he/she gets it. Bitcoin Bounty hunter tool isn’t just about stopping piracy. It is about striking the sources. They will have to come up with newer methods of stopping pirates. According to some reports published in the media, now law enforcement authorities are looking are several new methods in order to further remove piracy activities from the online world. And one of those methods requires anti-piracy organizations to enlist the public. They expect the public to basically help them track down online pirates. And in exchange, the helpful public could Bitcoin bounties. Now is that an exotic way to get rid of pirate and piracy websites or what? The point everybody should note here is that this is just what some media reports are saying. No anti-piracy authority has actually come out and said that they are ready to implement such as feature. According to one eBook publisher by the name of Erudition, such as method would actually act as a great way if someone wants to tackle the growing problem of piracy in the online world. And of course, Erudition isn’t exactly alone. Everybody who produces some amount or form of copyrighted content would want to keep it safe from pirates and piracy websites. In other words, plenty of people have heard about this idea before. 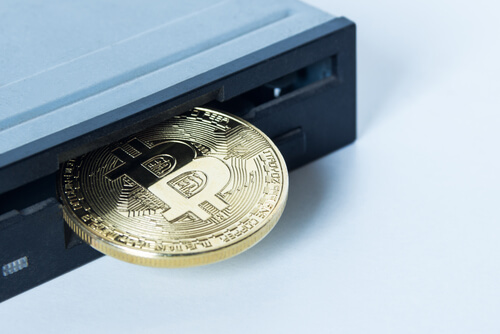 The idea is simply that anti-piracy groups can make use of Bitcoin bounties in order to first track down pirates and pirated content in the online world. The first time someone hears this idea, he/she is likely to ponder over the absurdity of this idea. Some might even scratch their heads. Who would want to snitch on online copyright infringers? And snitching isn’t exactly a new concept either. But what about cash rewards? Even more so, instant cash rewards. Now that is something that is very interesting. Rewards based on cryptocurrencies is still a novel idea. Theoretically speaking, anti-piracy groups should have no problems in implementing such an idea as it is remarkably straightforward. All content comes from producers. In other words, without content producers, we can’t expect any content. So what content producers can do is that they can add this unique identifying watermark right into their eBooks, movies and/or any other type of media in the form of digital files. Only after they have done that, they should go ahead and circulate the media content. Right now, you may wonder, what would change if content producers do this? Well, assuming content producers watermark their content using the new techniques and their content somehow and somewhere reaches piracy websites than all the bounty hunters in the online world can claim their Bitcoin bounty hunter prize upon the completion of their objective. So if a bounty hunter manages to find a leak, the bounty hunter would look for that watermark and then alert the owner. In fact, the simple act of claiming one’s Bitcoin reward would actually inform the owner of the content during the process. It would help content producers and anti-piracy organizations to spot pirated leaks very early on. And remember, there are tons of networks where anti-piracy groups can’t use automated tools. Or more simple, even some automated tools can’t have access to all the resources of copyrighted content on the internet. Moreover, such a technique would also help content producers and bounty hunters to identify the actual source both at the same time. So Where Is This Bitcoin BOunty Hunter Technology? The first time anyone heard about such technology was way back in 2015. So what has happened in the past two years? Well, we now know that the idea of Bitcoin Bounty hunters did not come about as a fluke. THe South African company by the name of Custos actually owns the Bitcoin Bounty Hunter technology. Moreover, the company has also managed to get various copyright holder groups on board as well. Recently, the company also announced that it had formed a new partnership with Erudition Digital, a book publisher. And if Custos can get some help from anti-piracy outfits such as Digimarc as well, then that would put the icing on the cake, according to some. It turns out, Digimarc has already helped Custos to help companies add identifying watermarks to their content. In the current case, eBook releases. Basically, they would count on Bitcoin bounty hunters to work hard and keep their eyes open for any and all early leaks. Remember, that these companies do not want trained professionals. In other words, Bitcoin bounty hunters don’t have to have the title “anti-piracy experts” to help these companies out. With that said, it is also true that pirates themselves can help out these companies more than anyone else could. Several companies made an official announcement a couple of days ago that the new Custos approach indeed formed a revolutionary idea. Because it attacked the very economy of pirates. By targeting online uploaders rather than the much-maligned downloaders. Hence, this technology would allow these companies and anti-piracy groups to turn downloaders into a very early stage detection network. The companies also said that the new method would allow them to turn pirates against each other. THis would also help them to sow the seeds of distrust between downloaders and uploaders. Hence online piracy communities would crumble soon enough. As a result of the above-mentioned benefits, the Custos system would actually have the capability of penetrating even the hardest of piracy resources and places. We’re talking about piracy resources that exist on the dark web. And the ones that work via peer-to-peer networks. Moreover, this technology would also help companies to fight against piracy that happens via emails. More and more companies stand a chance to increase their revenue losses because of piracy. And the Bitcoin bounty hunter program would certainly help in that. The director of Market Development for Digimarc Guardian, Devon Weston, told reporters that this new approach would form the next generation of anti-piracy efforts. Moreover, this new method would complement other security measures such as automated detection tools. These tools have done their work, to reasonable success, for the past several years by providing access to those very hard to reach piracy places. Weston also commented on the newly formed partnership. Weston said that together with the new suite of security products, companies would have access to next level technical measures that would help them fight eBook piracy. TorrentFreak also tried to reach out to Fred Lutz, the Custos COO. The new site wanted to ask Fred Lutz about the progress his company had made in the past several years. The company representatives informed TorrentFreak that the company had managed to protect thousands of content copies each month. And these protected copies included content ranging from eBooks to pre-released movies. 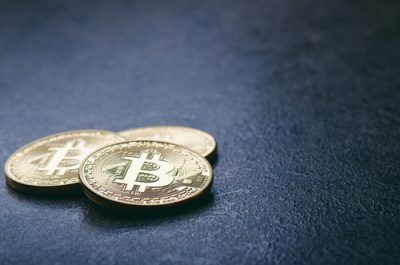 Representatives from Custos also told TorrentFreak that the company only worked with a selected groups of Bitcoin bounty hunters. With that said, the representatives also said that the company did have plans to open the new extraction tool to the general public in the very near future. This would allow everyone to join in the effort to remove piracy from the online world. Lutz also told TorrentFreak that so far the company had carefully seeded the new free bounty extractor tool. And they had only done so in relevant online community. As a result, the company had seen great success. However, the company had already moved on to the next phases of the new security effort. In the next phase, the company would open the new Bitcoin bounty hunter tool to everyone. Lutz also told TorrentFreak that the company would exercise caution in not growing the Bitcoin bounty hunter tool community at a more rapid pace than the number of Bitcoin bounties that the wild online world would require. In other words, how much do these Bitcoin bounties pay? According to most sources, the actual amount varies. It varies in size depending on many factors. But mostly it comes down to the specific use case. To take an example, for a new movie screener, these Bitcoin bounties can pay any amount between $10 USD and $50 USD. With that said, if the newly-released content is sensitive, then the payout can reach amounts greater than $100. That is a lot of money for one single piece of copyrighted content. Lutz also noted that the company could adjust the Bitcoin bounty over time. But it would base on the needs of the company’s customers. If we’re talking about a low-quality screener that the customer considered very sensitive before the cinematic release, then that would require much less Bitcoin bounty after pirates come around and distribute the cam rips. In other words, has Custos found the “success” the company seems too eager to tout to reporters? As of now, entities around the online world have claimed 50 Bitcoin bounties. We also know that Custos itself planted some of these Bitcoin bounty hunter cases. In order to give more incentive to Bitcoin bounty hunters. Of course, the number 50 isn’t something that anyone would consider as high. So does that mean the new Bitcoin Bounty hunter tool isn’t working? Lutz told TorrentFreak that while the number of Bitcoin Bounty hunter claims might seem like a small number especially when compared to the huge number of copies the company protects, the company’s aim first and foremost is to not just detect leaks. 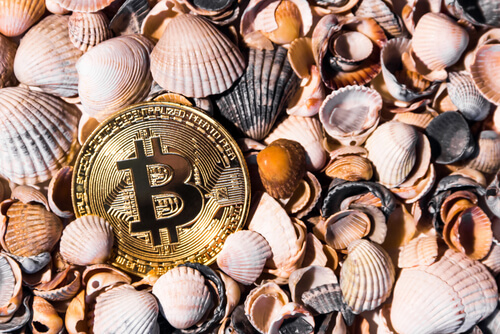 The company also wanted to pose a considerable threat to online pirates that with the new Bitcoin Bounty hunter tool, it could quickly detect online leaks and could catch uploaders as well. We have already mentioned the fact that any content that Custos protects, has watermarks. As soon as they find a leak, the people behind the content are made aware of the above-mentioned watermarks. Hence if someone tries to upload a copy of that content, he/she would have to consider the fact that anti-piracy groups might get to him/her fairly easily with the new watermarks. This would automatically lead to reduced piracy. In other words, people are less likely to share stuff they know is dangerous for the sharer of the copyrighted content. 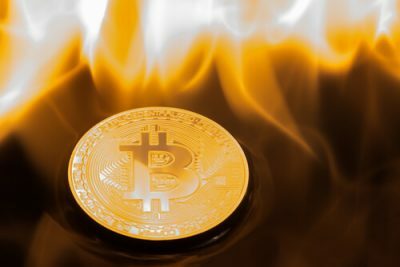 If this technique works, then the company would have its desired effect without entities claiming Bitcoin bounty rewards. But how many people would want to help the company spot bounties? IN other words, the success of this new system entirely depends on how much help can the company recruit from volunteers. Needless to say, most of the pirates wouldn’t just jump onto the chance of ratting out their partners. Some might even respect the people that they work so hard to provide free content to. Of course, only time would tell if the new Bitcoin bounty hunter tool would work to the extent that the company behind it wants it to.